The St. Michaels Art League (SMAL) is offering an opportunity to attend an evening meeting – open to the public – on Monday, October 8 from 6-8:30 p.m. at Christ Church Parish Hall, 103 Willow St., in St. Michaels. 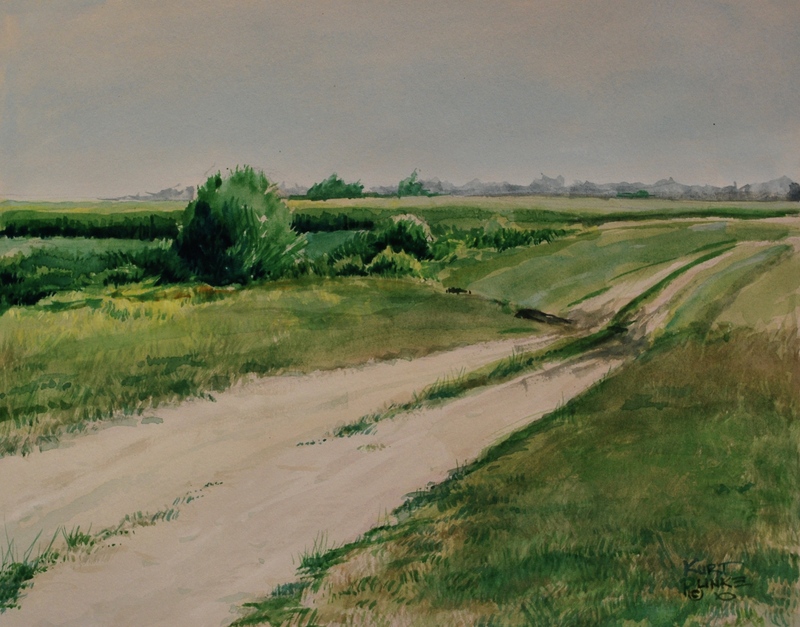 The meeting features a presentation by well-known watercolorist Kurt Plinke. Kurt, initially a student of biology as well as water-based mediums, has been observing and depicting nature for over forty years. His fascination with the patterns and rhythms of nature are evident in his work. His work varies from complex observations of the intertwined ecosystems of the eastern shore, to fleeting abstractions. He is well-known for his plein air landscapes. For samples of his work, visit kurtplinke.com or go to Sewell Mills Studio and Gallery in Greensboro, MD. The St. Michaels Art League has a lot to offer. In a casual, friendly and supportive atmosphere, you can enjoy a variety of monthly demonstrations by award winning artists in oil, pastel, sculpture, watercolor, colored pencil, ink wash, etc., geared toward improving the technical skills of members. The league offers classes and workshops with regional and nationally acclaimed artists, and the opportunity to display and sell artwork at open and juried galleries in Talbot County. Members have the option to participate in the annual “Under the Tent Labor Day Show”. This premier event is an opportunity to display and sell your work and draws many residents and tourists every year. The League is an integral part of the community and collaborates with St. Michaels businesses through such programs as the Summer Art Hunt in July. The Art Hunt draws tourists and residents into the stores of participating merchants on a scavenger hunt to find paintings by members with a free ice cream at Justine’s Ice Cream Parlor as the prize. SMAL is also partnered with the Academy Art Museum, Candleberry Gallery, Chesapeake Bay Maritime Museum, Choptank Electric Cooperative, Christ Church, St. Luke’s United Methodist Church, and the town of St. Michaels. In September, “Children’s Art Day” invites children from all over the mid-shore for a plein air painting experience with the guidance of league artists on the lawn of St. Luke’s United Methodist Church. SMAL members also create the “Celebrate St. Michaels” banners depicting local scenes that are displayed on the town utility poles from April to November. These are some, but not all the events and activities of the league. Despite their name, the SMAL includes members from all over the Mid-Shore and beyond. Members represent a variety of mediums including but not limited to painting, pastels, photography, fiber art, pottery and more. Traditionally, monthly meetings are held during the day, however, those who work haven’t been able to attend. Those who are curious about membership will have the ability to attend this special event featuring Kurt Plinke and learn more about the league. Refreshments will be available. For more information visit smartleague.org or contact Beth Wright at 202-264-0724; or info@smartleague.org. These programs are funded, in part, by a grant from the Talbot County Arts Council, with revenues provided by the Maryland State Arts Council.